Horses’ eyes are big and beautiful. The clear glass surface of their eye is called the cornea. A corneal ulcer occurs when this surface is damaged. 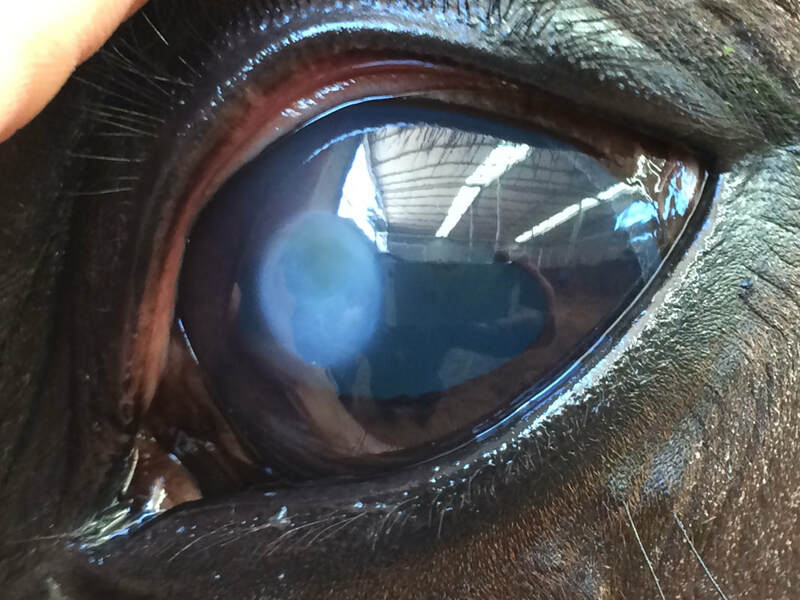 Trauma is the most common cause of corneal ulceration in the horse. 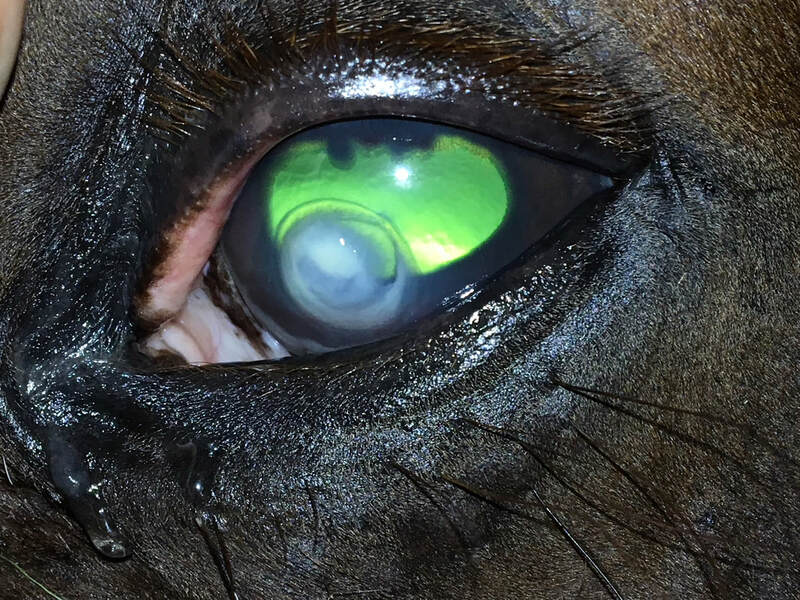 Whilst simple ulcers heal rapidly, many horses go on to develop complicated ulcers. These ulcers can deepen quickly and become infected by bacteria, fungi or both. Complicated ulcers need urgent, aggressive treatment. Failure to do so increases the risk of vision loss and in some cases eye removal. To determine if bacterial or fungal elements are present, corneal samples are taken for cytology (to look for organisms) and/or culture (to see if any organisms grow). This helps select the most appropriate medications. This is a very serious questions and cannot be answered simply as it depends upon several factors. Some of these factors include type of ulcer, anaesthetic risk and patient co-operation. 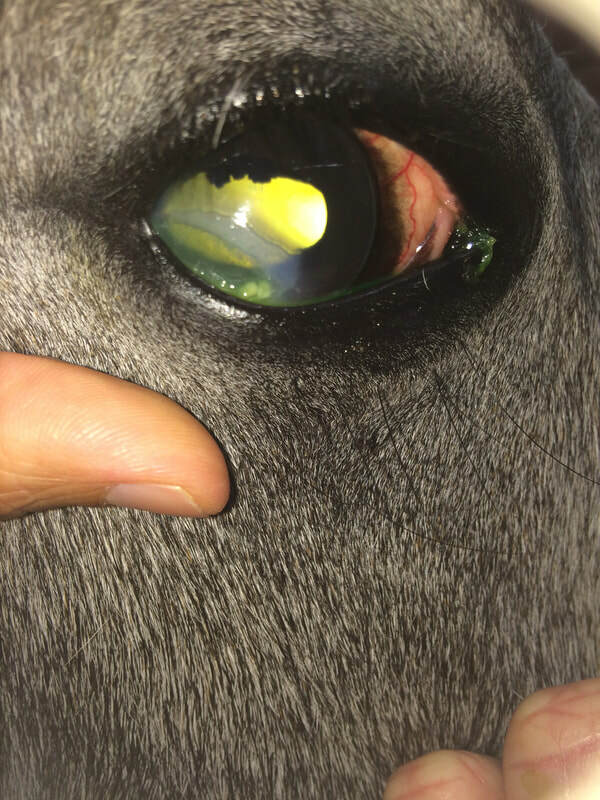 The team at Melbourne EyeVet work in unison with the clinicians at South East Equine to treat your horse’s corneal ulcer. We have found that early aggressive management gives the best results. If you have any questions, please contact us on 03 9545 0103.